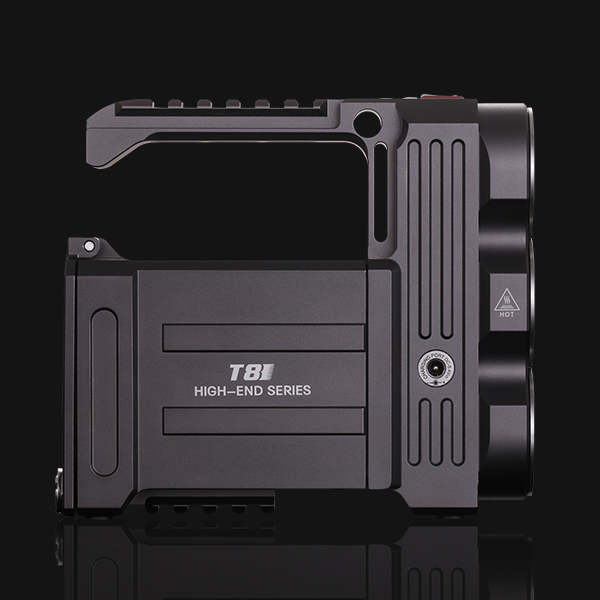 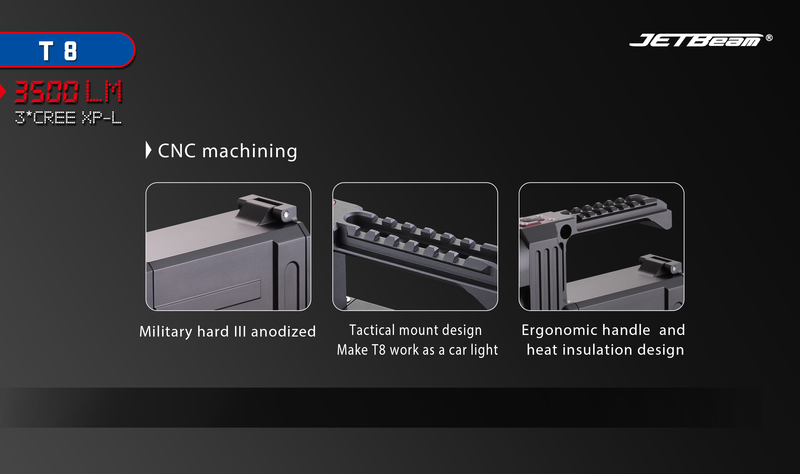 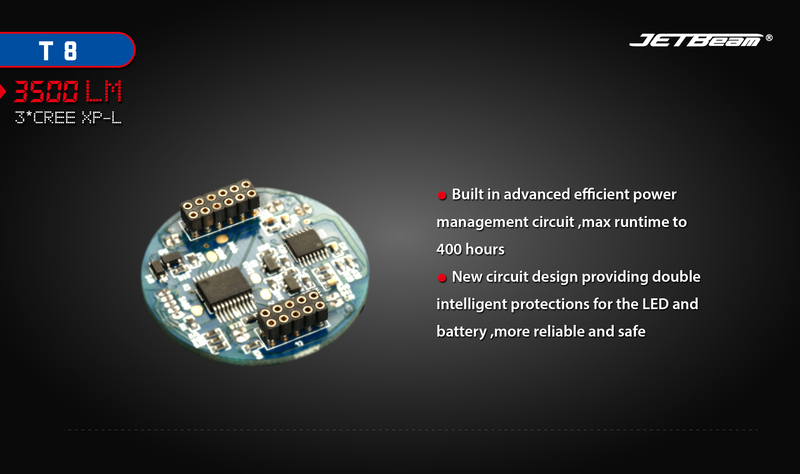 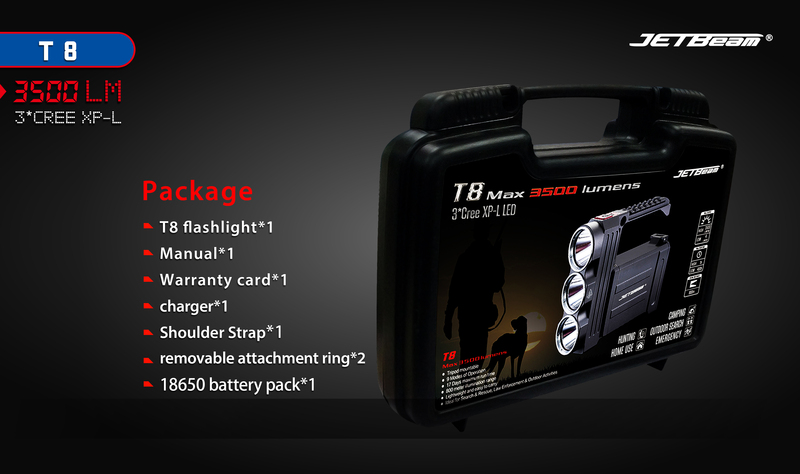 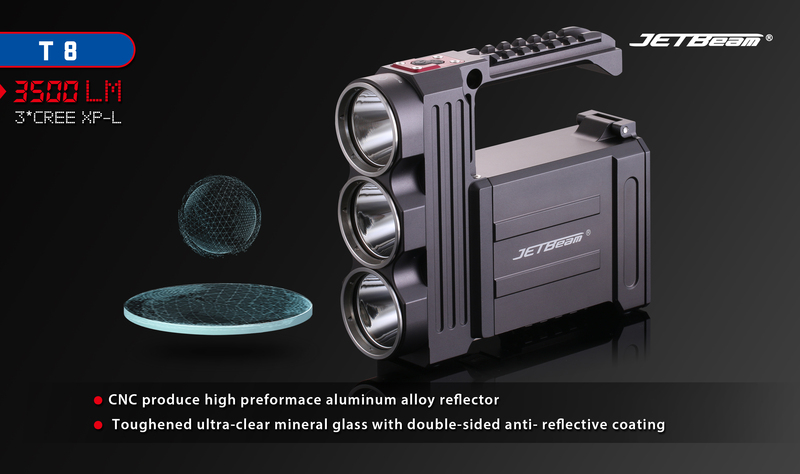 T8_Products Center-JETBeam Electronic Technology Co.Ltd. 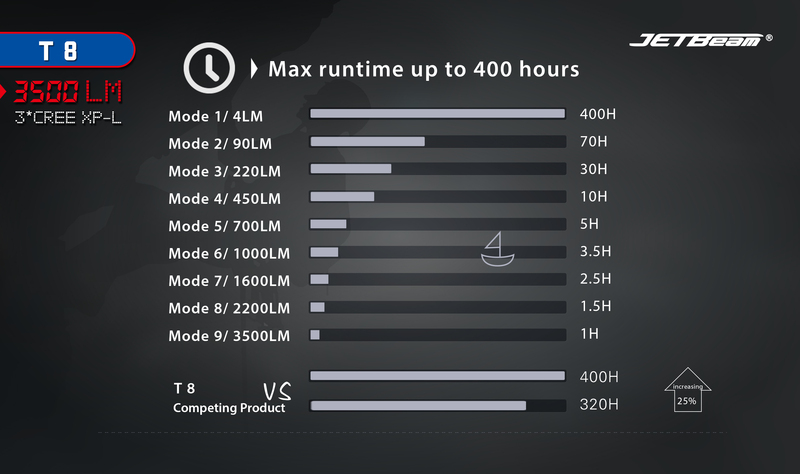 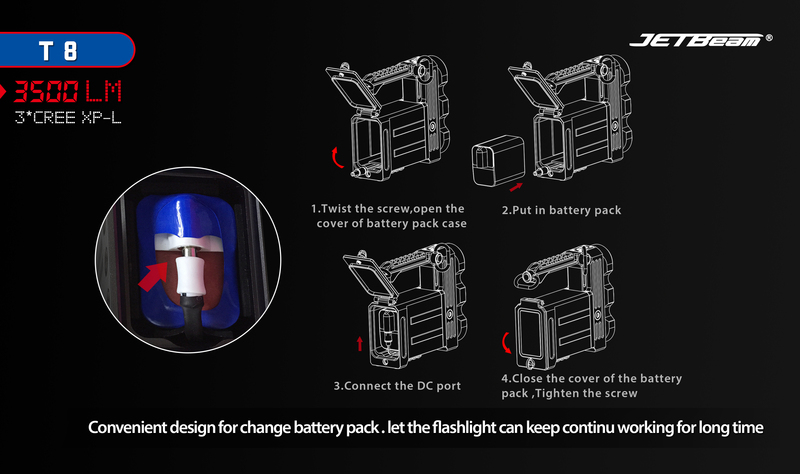 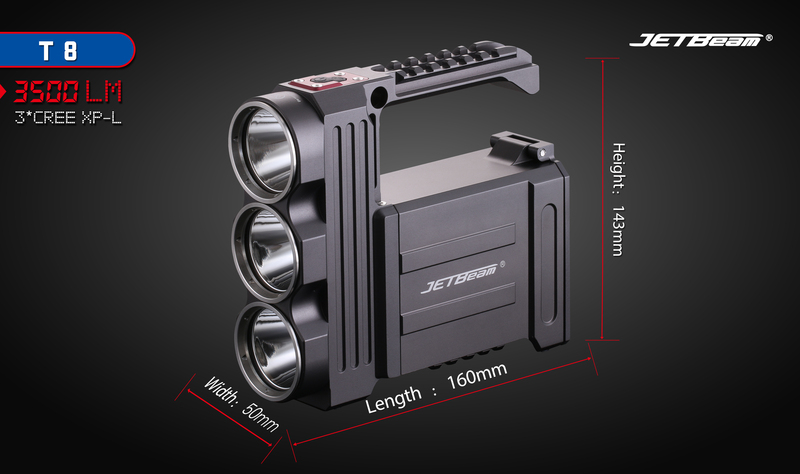 JETBeam has always focused on high-performance LED flashlights. 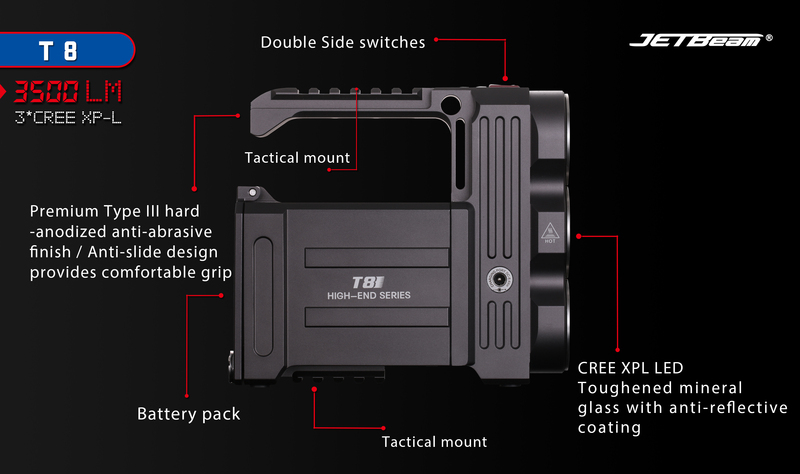 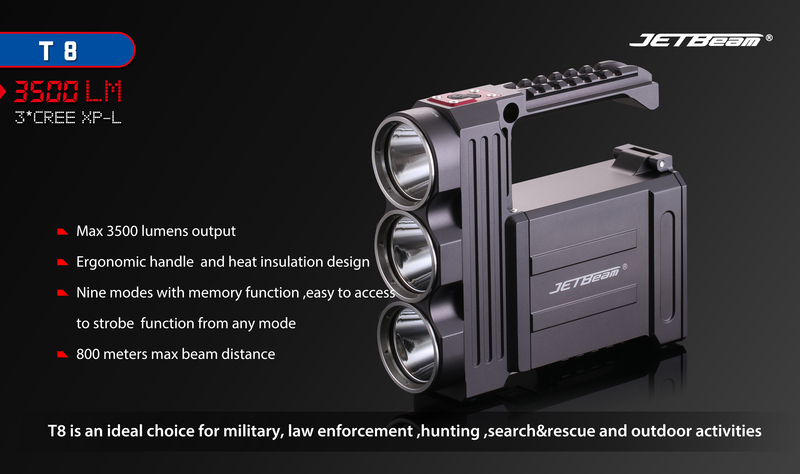 Thanks to its excellent performance and outstanding workmanship, it has a stellar reputation and has been widely used in multiple fields, including outdoor activities, military use, law enforcement, industrial lighting, aviation, marine, etc. 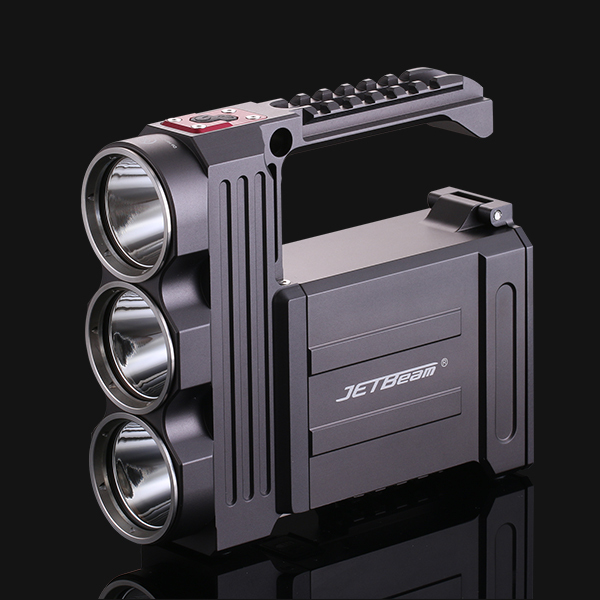 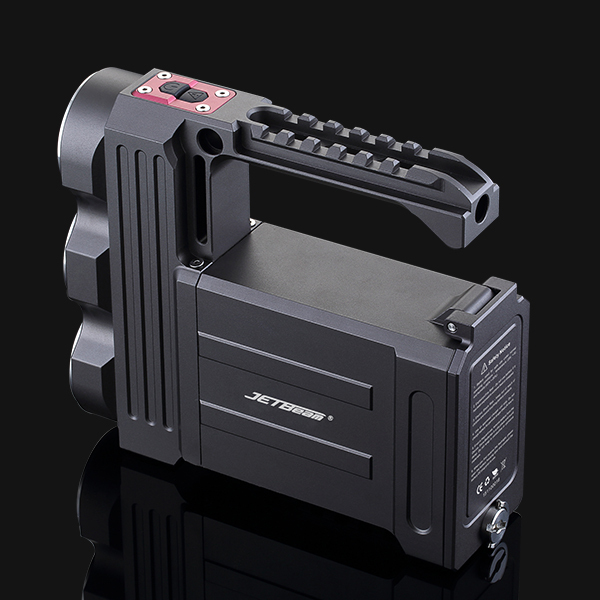 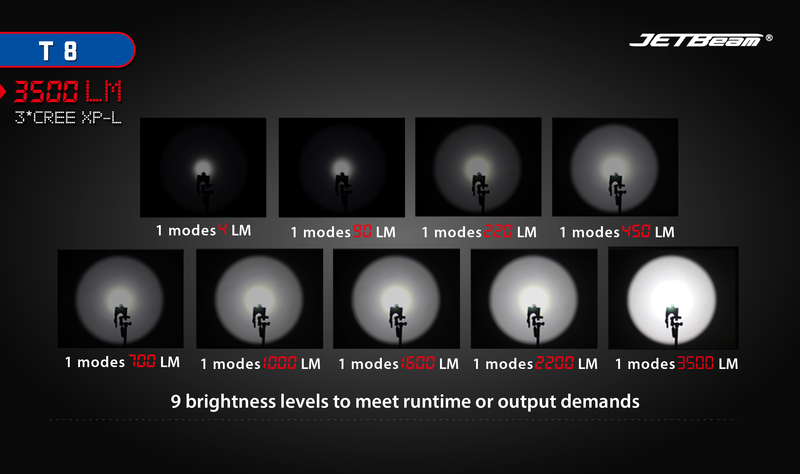 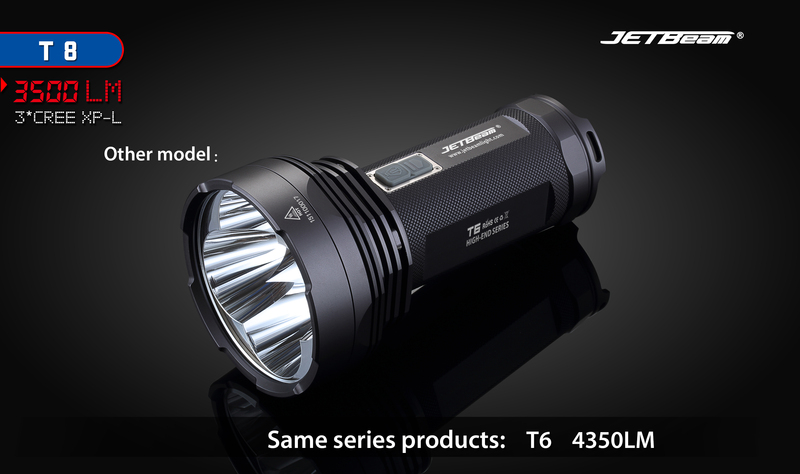 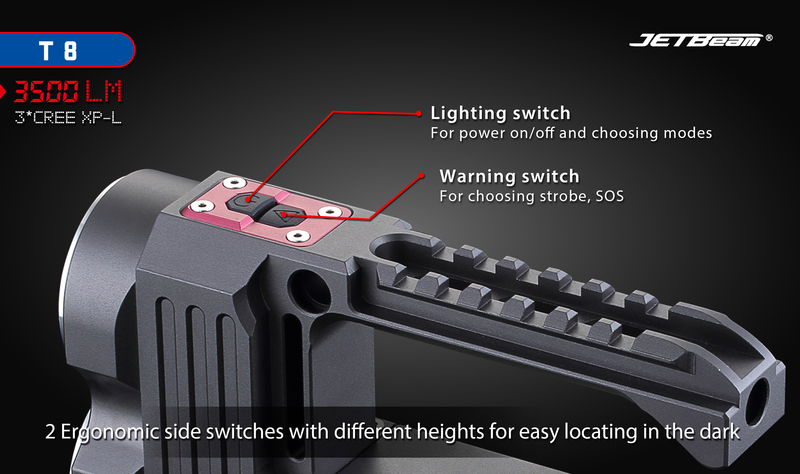 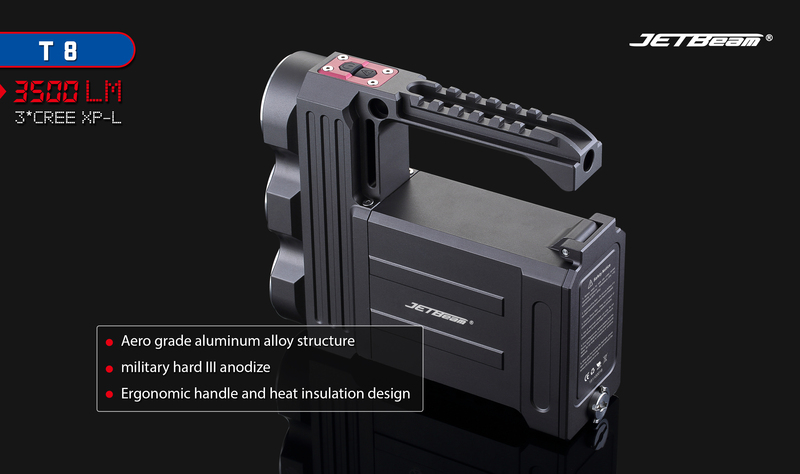 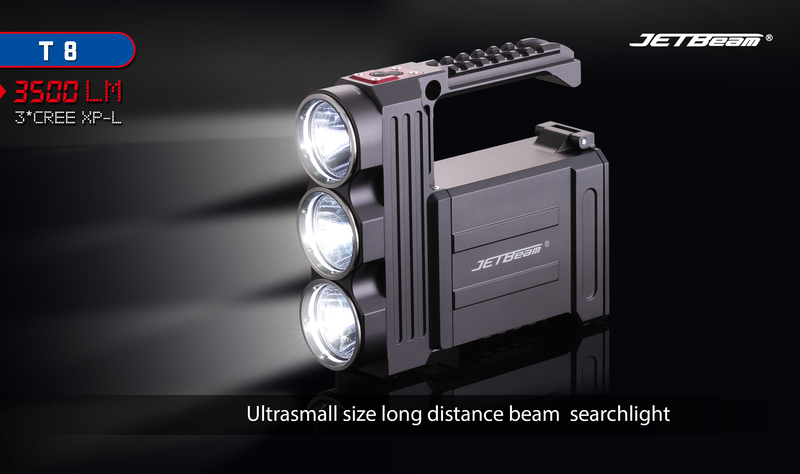 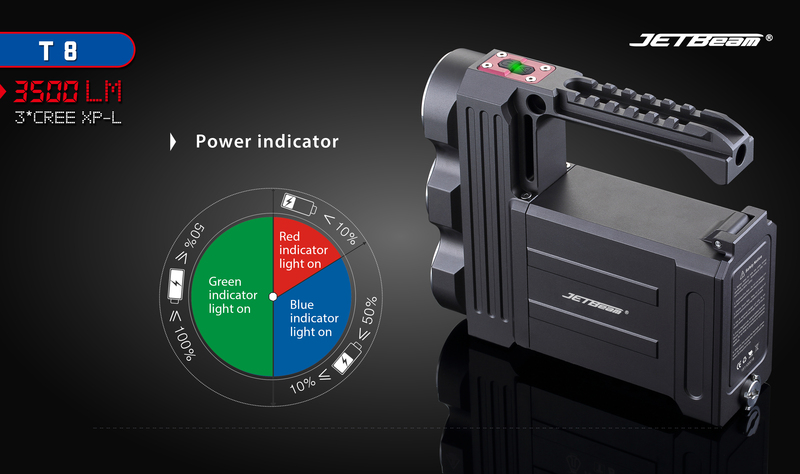 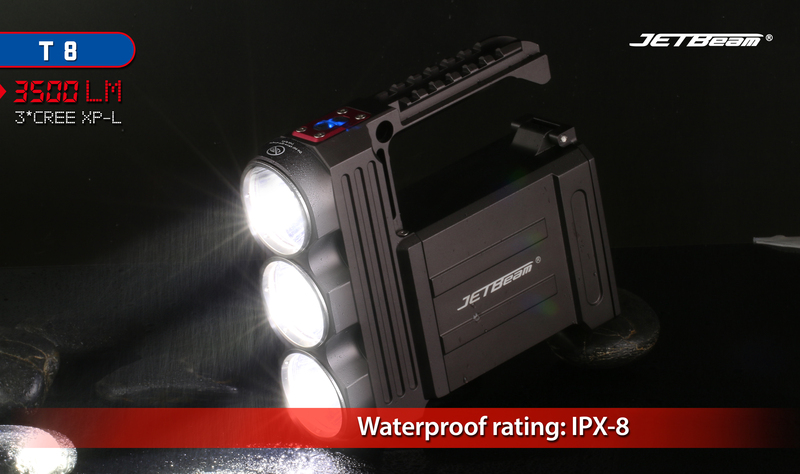 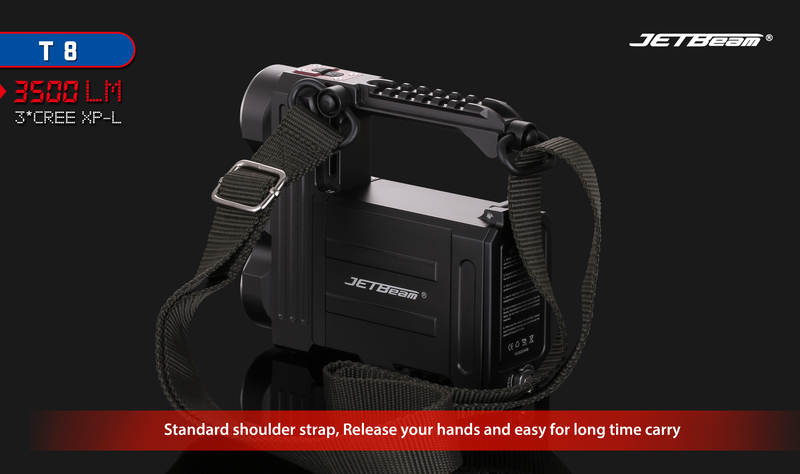 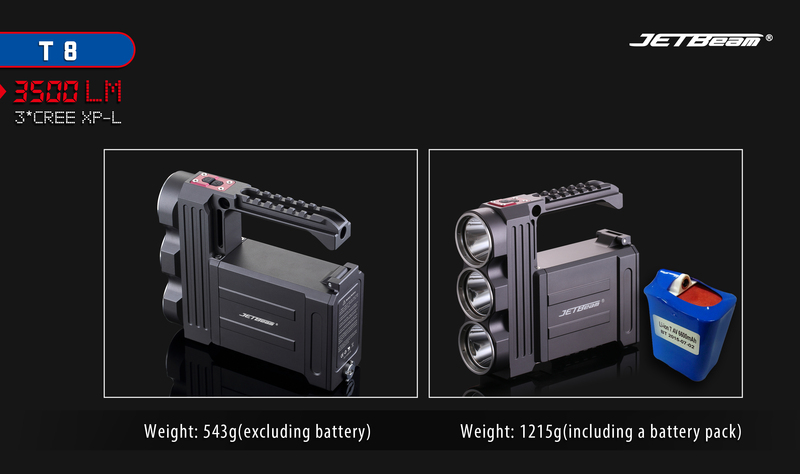 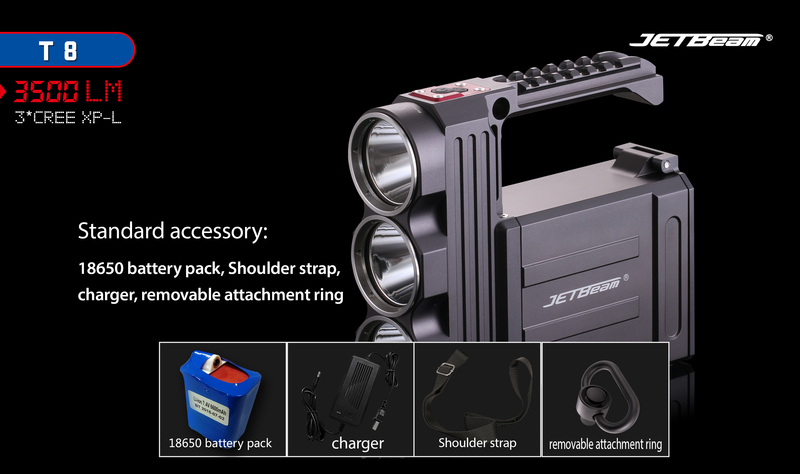 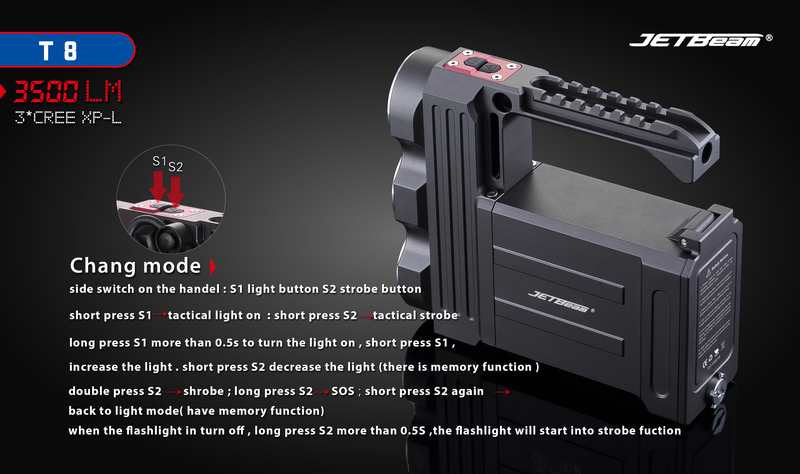 In some areas, JETBeam has been regarded as one of the leading mid-to-high end flashlight brands and flashlight technology development explorers. 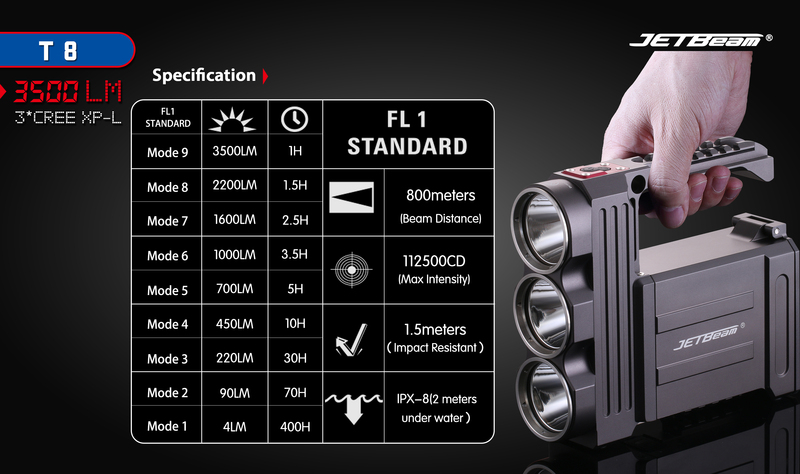 When looking for the right search light for tactical use, performance and reliability are two key factors. 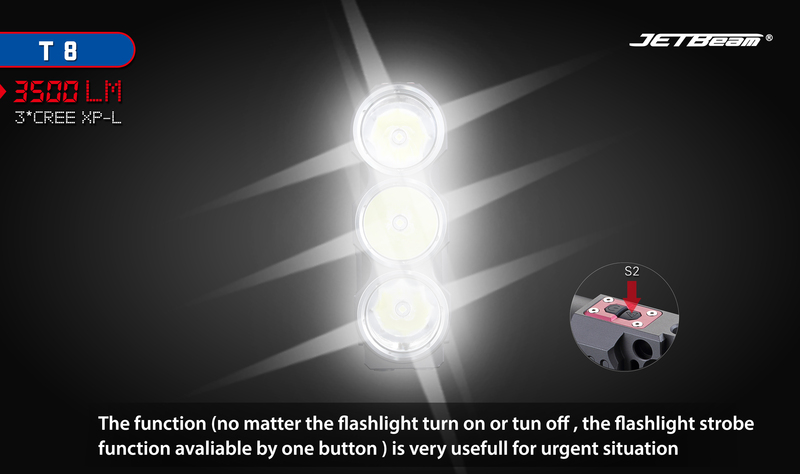 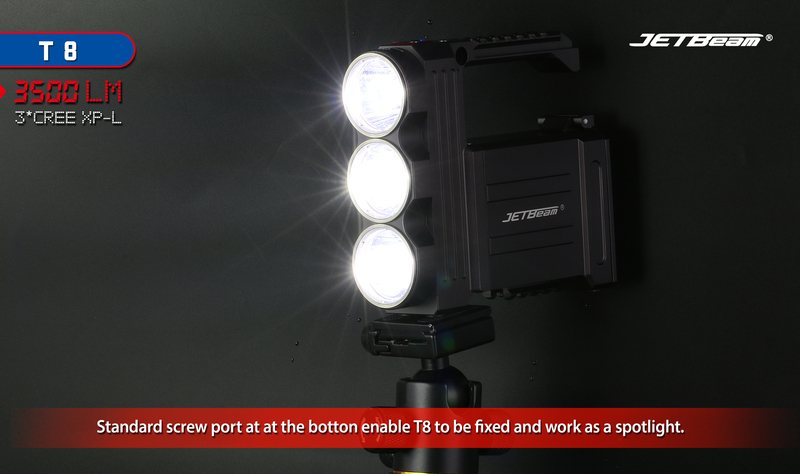 Make sure you have both covered with the Jetbeam T8 LED Flashlight, one of the most powerful and serviceable search lights on the market! 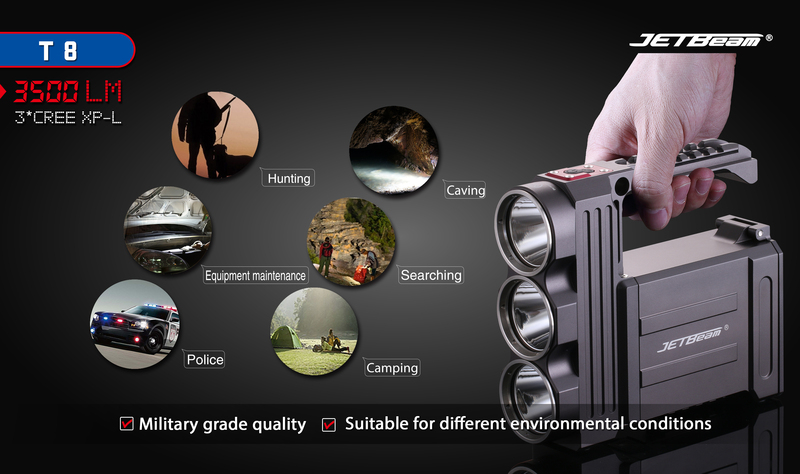 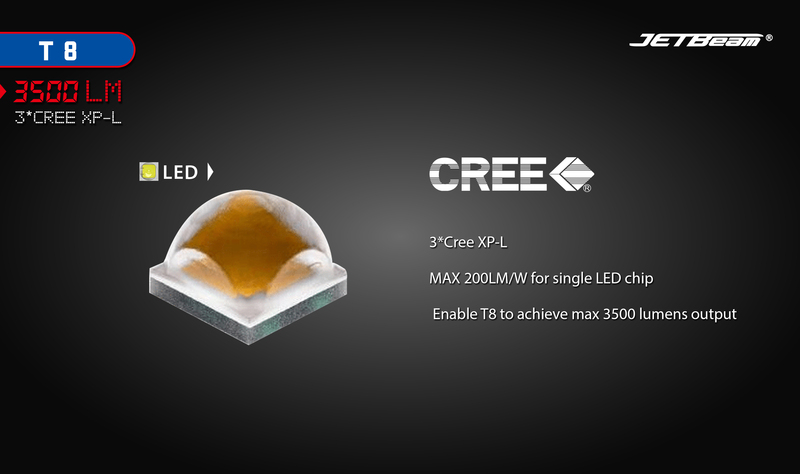 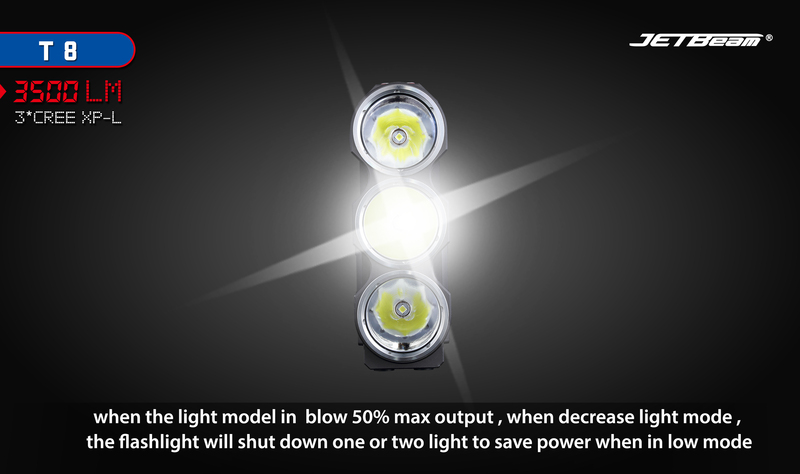 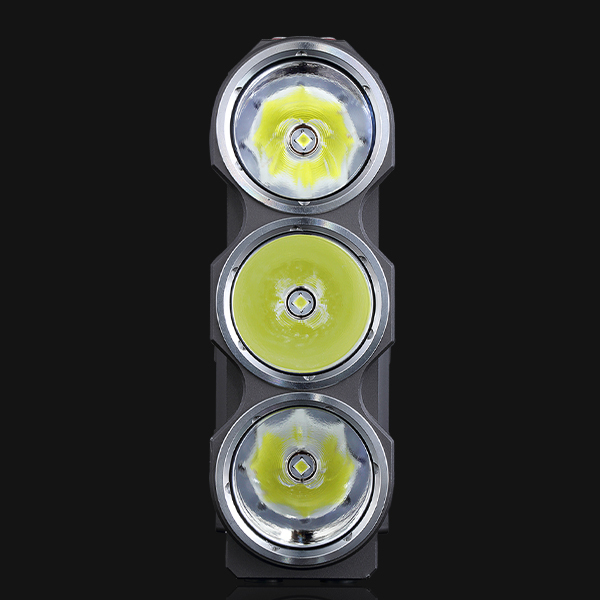 Equipped with a trio of CREE XP-L LEDs, this flashlight is able to generate up to 3500 lumens of illumination that can reach up to 800 meters away, perfect for outdoor search as well as other tactical purposes like law enforcement, hunting, and camping.